Try a modern twist on a Victorian look this Halloween! Steampunk Teen Costume includes brown dress with attached decorative faux leather belt front, hat with white scarf and goggles, and pair of brown glovettes. 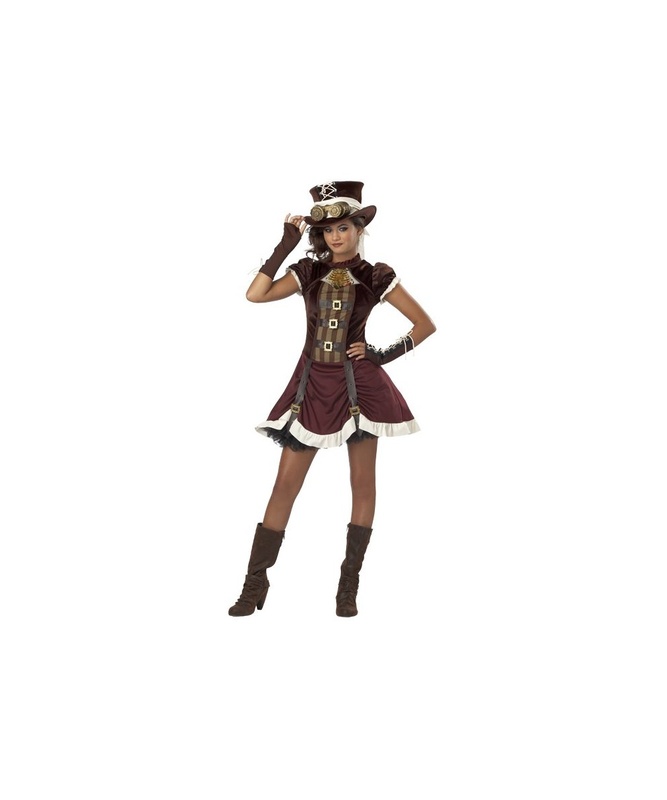 This stylish Steampunk Costume for girls is available in tween sizes Large (10-12) and X-Large (12-14). You'll look fabulous dressed as a beautiful Victorian lady! Please note tights and boots are not included. Review(s) for " Steampunk Teen Costume"